In September 2014 we took a trip to China, which we booked through Travel China Guide, and we had a great time! I personally want to thank our Beijing guide, Tina Zhang. She was amazing, and took very good care of us. During the three days that we were with her, we covered a lot of ground. We saw Tian An Men Square and the Forbidden City, the Temple of Heaven, a kung fu show, a jade factory, the Sacred Way, the Ming Tombs, the Great Wall of China, the Summer Palace, a pearl store, and a tour of a hutong. I am disabled, and required a wheelchair during much of this adventure. Tina took very good care of all of us, even though we four all had different needs, and kept all of us happy. At the Great Wall, she took us to the place that would be easiest for me to navigate. She helped arrange wheelchairs, helped me climb stairs where necessary, and kept me company while the rest of our group went exploring. She found the restaurant closest to our hotel, called them, texted me back and told me that they were not busy that night, with only a five or ten minute wait. When we arrived at the restaurant, we were immediately seated. After we returned home, she e-mailed us pictures she had taken during our adventures. All during this time, she was very knowledgeable, professional, friendly, helpful and kind. I cannot say enough good about her. Thank you, Travel China Guide, for making such wonderful memories for us, and for assigning Tina as our guide in Beijing. We will treasure our experiences forever. From start to stop Travel China Guide Tours, Abbey, and Jerry provide excellent service. Abbey was always available via email with any questions or modifications we needed to make for our tour in Beijing and Shanghai. Jerry and our driver were always on time and courteous. Jerry never rushed us and allowed us to explore at our own pace. He even recommended a few places for us to go to at night after our tours. Thank you to everyone at Travel China Guide Tours, Abbey, and Jerry for the great time we had. We can’t wait to return to China and use your services again. Its was a very well organize Kunming tour arrange by Abbey for us. from air, High speed rail ticket, to hotel accommodation, local transportation and tour guide. We really enjoy this small group tour. We will highly recommend Travel China Guide Tours to our friend and family. This is an extremely professional, customer-focused tour company. From the initial enquiry, to booking, and then travelling with them we could not have been more delighted. The tour guides were very personable and knowledgeable (particularly Sara, our first guide in Beijing). We booked a small group tour, which ended up being just 5 people and we have all become firm friends (the Canadian couple recently visited us in Australia). We are very impressed with China - clean, modern and scenic. They have also gone to great trouble to preserve and celebrate their heritage. It should be no surprise that every local we met showed great pride in their homeland. 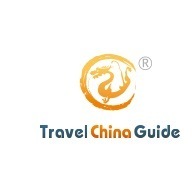 We would highly recommend Travel China Guide, they made a quite hectic schedule very manageable by taking care of all arrangements, including site entries and airline check-ins. Our accommodation in every city was very good, all the hotels were 4 or 5 star and the location of each was very convenient. We have used Travel China Guide Tours three times since 2006. They have always been very easy to work with. Weve planned our trips by email back and forth until everyone is happy. Last year we used them for our 25th wedding Anniversary trip. We went from Beijing to Lhasa to Kathmandu to Delhi to Agra to Delhi and home. Every step of the way we were met with a driver and guide and they were all amazing in their skill and knowledge. We will use them again for our next trip to asia. Firstly I would like to thank Abbey for organising a wonderful experience for our group in China. All of the group members have remarked how good the organisation was and how this contributed to the enjoyment of their China experience. It was so nice to meet you at our home visit in Xian, I was very surprised and delighted that I could personally thank you.Our tour guides in each location were excellent, their English skills were more than adequate and their good humour was appreciated along with their ability to embrace the Aussie humour and dynamics of the group. All 3 guides were very knowledgeable in their own areas and took very good care of us and this certainly made for a better travel experience. I believe that Wilson, David and Doreena did go that “extra mile” to ensure that the group had the very best holiday that we could. Each guide supplied us with feedback forms and they did not apply any pressure to us in filling out the form and there was adequate time and privacy to do soThe drivers in each of the 3 locations again were very good, it certainly makes for a better holiday when you can rely on the driver be on time, safe and trusting. Our driver in Beijing must be mentioned for special praise as he was outstanding in all aspects of his involvement with the group. The mini buses used in each location were very good being clean, spacious and comfortable.As for the accommodation provided throughout the trip, this far exceeded my expectations and all members of the group were very impressed with the standard of hotel we stayed in. Certainly the hotels in Shanghai and Xian were outstanding, being modern, spacious and providing all the extra things that make for a good stay. The rooms at the Holiday Inn in Beijing are beginning to look tired with the bathrooms in particular showing their age. However this did not distract from an excellent stay with all other facilities being very good. Staff in all the hotels were very good also offering their help whenever required.The meals provided for us throughout the trip were absolutely terrific, as a group we enjoyed all the lunch venues and the food was delicious. Thanks to our guides we were able to order foods that either we liked or wanted to sample. The budget for each meal was very generous and we certainly made the best of it often not having dinner at night after gorging ourselves at lunch. The possible one exception to the above was our last lunch in Beijing at a shopping plaza. This meal did not seem up to the standard of the other venues. Our dumpling dinner was also fantastic and this was a far better meal than that described in our tour itinerary as being just a sample and may not satisfy. It certainly did satisfy all of us with everyone not able to finish all the food provided.A highlight of our trip was being invited into a local Chinese home in Xian and helping to prepare lunch and learning from our gracious host cooking skills and also being allowed to examine her home to see a typical modern Chinese way of life. All members of the tour group enjoyed this experience and I would strongly recommend you continue to offer this activity. Also during this home visit I had the wonderful surprise of meeting Abbey our tour organiser. This is a very good innovation for your company and it certainly adds a more personal feel to our holiday, it was like us being part of the TravelChinaGuide family.Now that we have experienced China and the 3 main areas of Shanghai, Xian and Beijing, if there was one thing we would like to have seen added to our itinerary would have been a night tour of Shanghai especially the Bund and Pearl Tower areas.Myself and the rest of the tour group would like to thank TravelChinaGuide (especially Abbey) for organising a very memorable holiday to China. We believe that the value offered by your company was great and we have no hesitation in recommending TravelChinaGuide as the preferred travel company in China. All dealings with Abbey were timely and thorough and made easy for myself. All requests were met with a smile and no request was left unanswered. I will certainly be telling my friends of your great service and would definitely use you again when the need arises. Travel China Guide specializes in private and small group tours in China. They use English speaking local guides and tours highlight historical and cultural places of interest, and include unique activities. What Makes Travel China Guide Stand Out? They offer an immersive China tour experience, designed for those with adventurous spirits but who also value comfort and exclusive activities. Small Group Tours are kept at a minimum of 18 travelers to keep groups intimate and allow for individualized attention. There is a wide variety to choose from in terms of tour length and theme. Who Will Enjoy Traveling With Travel China Guide? Western travelers who are eager to explore China from a local perspective, but with the benefit of an English speaking guide will get the most out of the Travel China Guide experience. There are many tour choices through Travel China Guide, and it’s easy to find something for everyone. Even adventurous independent travelers can find itineraries. Everything from family tours to luxury packages to student trips are available. Age range is varied, though their small group tours often attract middle aged and 50+ travelers. Most of their tours travel from Beijing and visit the top cities and attractions, including Xian and Chengdu. Yangtze River cruises are also available. They offer around 500 different guided trip itineraries in over 50 cities all around China. While maintaining classic China tours, in recent years they have expanded to other countries in Asia, such as Vietnam, Thailand, Cambodia, Mongolia, Myanmar, Laos, India, Nepal, North Korea, etc. 1. Panda Tours - One of the biggest draws for travelers to China is Pandas! Travel China Guide has a few different Panda themed tours to choose from, visiting Chengdu as well as lesser known Panda sanctuary areas. 2. Family Tours - If you have a few young ones with you, choosing a private family package with Travel China Guide is a great option. The focus is on activities that the entire family can enjoy. 3. Student Groups - Travel China Guide also has many options for students looking to travel in China. These trips are educational focused and have many cost cutting opportunities. 4. Muslim Tours - A unique dive into China’s Islamic heritage. Open to all travelers eager to learn and explore the Muslim culture, however specifically geared toward Muslim travelers. 5. Photography - China is a gift for photographers, with everything from architectural wonders to spectacular countryside. Photography tours with Travel China Guide are best suited to those who have a little bit of photography experience and their own equipment. 6. Jewish Heritage - For those who are interested in exploring the history of Jewish people in China, there are some itineraries available that do just that! Why Choose a Tour with Travel China Guide? The variety of travel options, destination expertise, and attention to detail is what makes them a front runner as you consider a tour company for your next trip to China. Small Group tours are their primary offering and a great choice for those who want a fixed date and itinerary with the opportunity to meet and travel with people from all over the world. They are also well known for private customized tours - perfect for individual visitors who like to travel alone or with family or friends, with the flexibility and convenience of choosing their own travel dates, attractions, accommodations, languages, etc according to their preferences and for travel at their own pace. Travel China Guide has experience on their side, a positive reputation, and keep their prices competitive. You need not worry about flight tickets as Travel China Guide offers a quality ticket booking service with favorable discounts and a quick response, even if you are not joining their tour groups. Their ticket booking service is available in a variety of ways including online reservation, telephone, fax or e-mail, covering Chinese domestic flights, flights to/from Hong Kong and Macau and some international flights. *Airport transfer service is available including pick-up and see-off services. On Travel China Guide small group tours, the max is 18. The average age is 45, leaning older on most trips. All ages are welcome, however. Children 12 and above are charged as adults. Yes kids are welcome, and Travel China Guide also has a variety of Family themed tours available. TravelChinaGuide is a reliable and prestigious tour operator. We offer many choices of holiday plans to assist you in exploring unique Chinese beauty of the foremost oriental civilization. Starting since 1998, our company has been able to maintain steady and fast-paced growth into a leading online tour operator in the past decades. One-on-one travel consultant service is available on hand throughout the day, all for free. All the arrangements will be carried out before the tour. Our guides are versatile assistants that will enhance and enrich client's holiday. The best local drivers are ready to serve with luxury vehicles. Enough individual space is given by 30-40% vacant seats. Our professional quality assurance team test every bed, for we know that a sound sleep really makes a lot of difference. We are the first travel agency in China to offer a la carte meals permitting travelers to try the genuine delicious Chinese food. You can select dishes according to your own taste. To know more about the local Chinese people's life style, we especially arrange a visit to a normal Chinese family. You can share a meal with them and also learn to cook Chinese food with the hostess. Come and join us for an exceptional experience with unparalleled service at a truly competitive price. This promotion is designed to tell more people about our top-notch service. Our primary concern is always for our customers' satisfaction with an emphasis on quality. Even though we are offering preferential prices our usual high standard of service is maintained.